James Low is a disciple and teacher in the Byangter and Khordong lineages of the late Chhimed Rigdzin Lama. He began studying and practising Tibetan Buddhism in India in the 1960’s and received teachings from Kalu Rinpoche, Chatral Rinpoche, Kanjur Rinpoche and Dudjom Rinpoche. Having met his root teacher, Chhimed Rigdzin Lama (also known as C R Lama), he lived in his home in West Bengal, India for many years, serving him as required and being taught many aspects of the tradition. During this period in India James did several retreats and pilgrimages in the Himalayas. In the 1970’s and 1980’s, on his return to Europe, he also had teachings and guidance from Namkhai Norbu Rinpoche. James translated many tantric texts and sadhanas with CR Lama who wanted texts from his lineages, Byangter and Khordong, to be available in English. These are used as practice texts by CR Lama’s disciples and have been translated into various European languages. CR Lama asked James to teach in 1976 and later gave him the transmissions necessary to do this, together with full lineage authority. In particular, James was encouraged to give the traditional instructions using methods that enable people in the west to get the point. James has been teaching in this way for over twenty years. James regularly teaches the principles of dzogchen in Europe and he publishes translations and commentaries from time to time. Many of his seminars have been recorded, transcribed and made available on this website in the hope that they may be useful for those seeking to deepen their dharma understanding and to explore how to apply it in the complexities of everyday life. 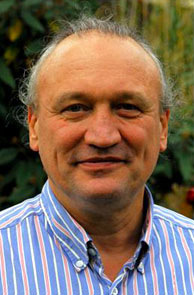 James studied at Edinburgh and other universities and has retired from his work in London as a Consultant Psychotherapist in the National Health Service. He is slowly winding down his private psychotherapy practice. He has taught on many psychotherapy trainings in Britain. See James’ recent books and publications.